This state park in northern Oregon sits at the mouth of the Sandy River close to its confluence with the Columbia. The park features a botanical interpretive trail. 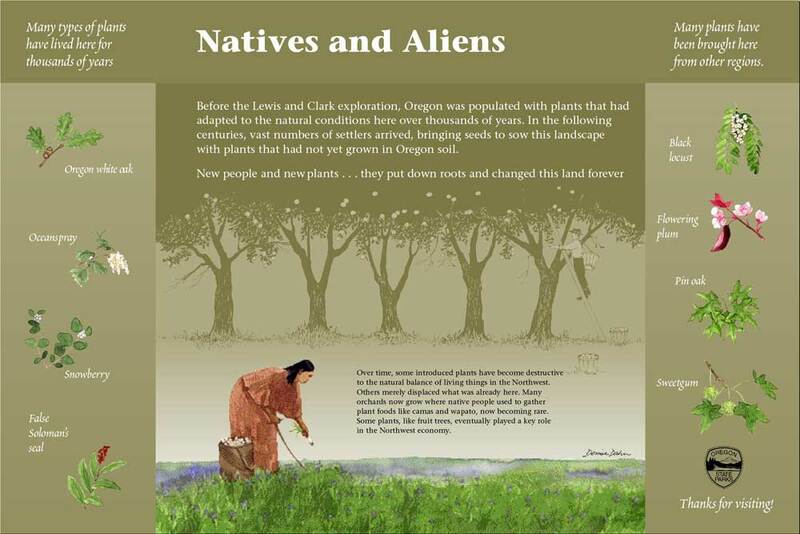 Planners from Oregon State Parks had the idea to show native plants and to interpret their historical uses and cultural significance. This park is in the geographic area explored by Lewis and Clark on their 1805 expedition. 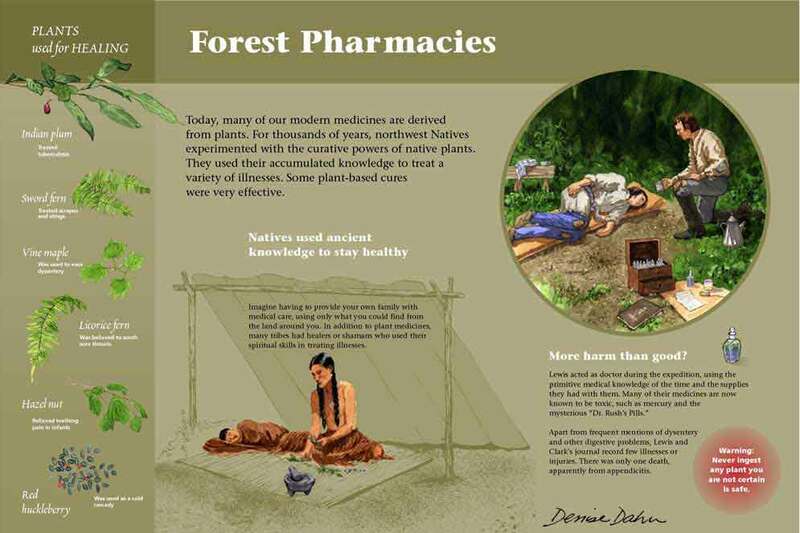 I researched topics, wrote text, designed and illustrated the series of seven interpretive signs for the park. Please do not download these images! 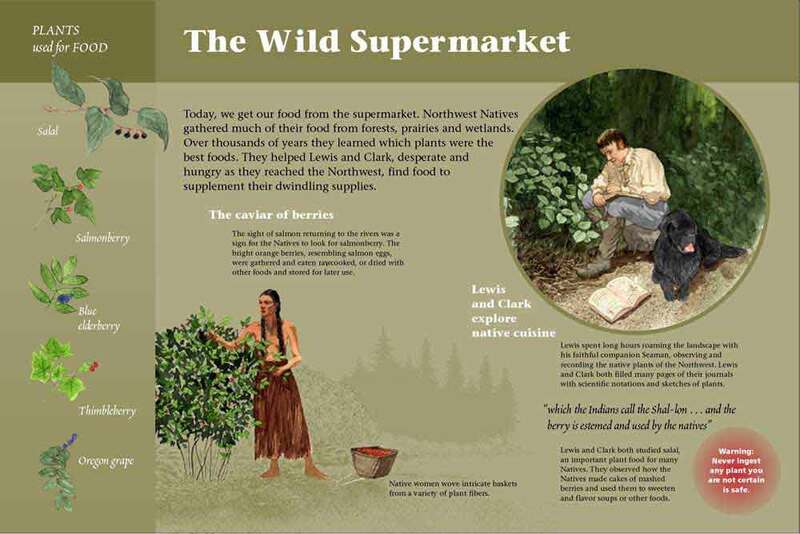 Meriwether Lewis kept detailed journals about the unfamiliar plant species they encountered on the trip.